NEW YORK (October 29, 2014) – Iraq and Afghanistan Veterans of America (IAVA), the largest nonpartisan, nonprofit organization representing post-9/11 veterans and their families, today announced Uber CEO and co-founder Travis Kalanick will be honored at IAVA’s Annual Heroes Gala Celebrating Our 10th Anniversary. 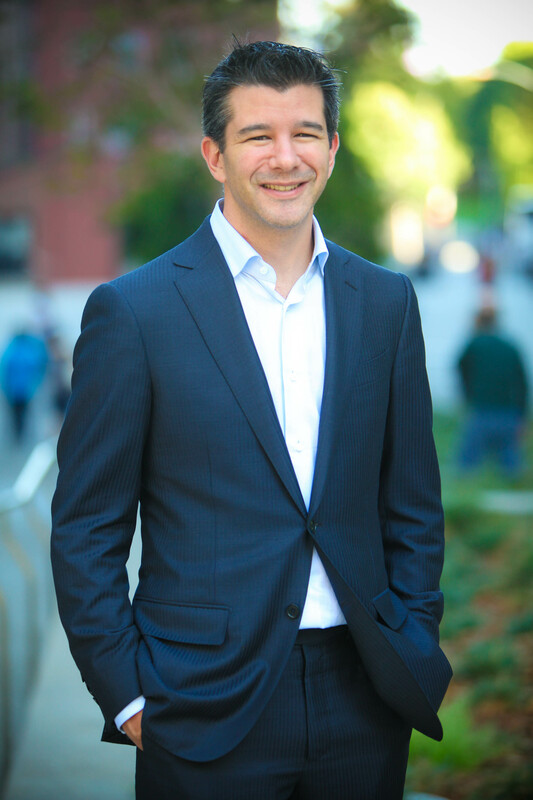 IAVA will present Kalanick with the 2014 IAVA Civilian Leadership Award on Thursday, November 13th, 2014 at 6:30 p.m. at Cipriani 42nd Street in New York City. Nearly 300,000 servicemembers are expected to transition into the civilian workforce every year for the next five years. Uber’s new program UberMILITARY connects service members, veterans and military spouses to Uber and empowers them as entrepreneurs and small business owners. UberMILITARY will on-board 50,000 members of the military community during the next 18 months. In cities nationwide, members of the military community will be welcomed by Uber. Based on a case study conducted in San Diego, Calif., Uber found that veteran drivers do more trips with Uber per week on average that non-veteran partners. Also, veterans maintain higher driver ratings on average than non-veteran partners and receive frequent positive feedback. IAVA will also honor Admiral Mike Mullen, 17th Chairman of the Joint Chiefs of Staff, with the IAVA Veteran Leadership Award. Willie Geist, co-anchor of NBC’s “TODAY” show and MSNBC’s “Morning Joe,” will serve as the Master of Ceremonies. IAVA is celebrating the 10th anniversary of the organization founded by CEO and Iraq War veteran Paul Rieckhoff in 2004. Over the past decade, IAVA has evolved to fight for what veterans truly want and need including playing a key role in passing the Post-9/11 GI Bill. In December 2012, in partnership with the Robin Hood Foundation, IAVA launched the Rapid Response Referral Program (RRRP). This case management and referral service program concentrates on, but is not limited to, vets in New York and California with an intake of about 40 new cases a week. More recently, IAVA has promoted awareness and positive action around Military Sexual Trauma, built strong communities of veterans online and on the ground, and proposed solutions to the disability claims backlog at the Department of Veterans Affairs (VA). IAVA’s past Heroes Gala honorees, performers and guests include: Medal of Honor recipient Staff Sgt. Sal Guinta; former New York Mayor Michael Bloomberg; best- selling author and Army veteran Wes Moore; “Dancing with the Stars” winner and veteran J.R. Martinez; host of Comedy Central’s “The Colbert Report,” Stephen Colbert; Jon Stewart, host of Comedy Central’s “The Daily Show;” NYPD Commissioner Raymond Kelly; Council on Foreign Relations President Emeritus Leslie Gelb; Craigslist Founder Craig Newmark; Super Bowl Champion Coach Bill Cowher; singer Nora Jones; NBC News’ Brian Williams; former Chairman of the NAACP Julian Bond; and O.A.R. lead vocalist Marc Roberge. IAVA’s Annual Heroes Gala Celebrating Our 10th Anniversary’s top sponsors, as of Oct. 29, 2014, include HBO, JPMorgan Chase & Co., MillerCoors, Southwest Airlines, Steven & Alexandra Cohen Foundation, TriWest Healthcare Alliance, Turner Broadcasting, USAA, Victory Motorcycles, Western Asset Management, and WME/IMG.